These tender Carolina Style Grilled Baby Back Ribs literally fall off the bone. Slow cooked with a southern style dry rub. 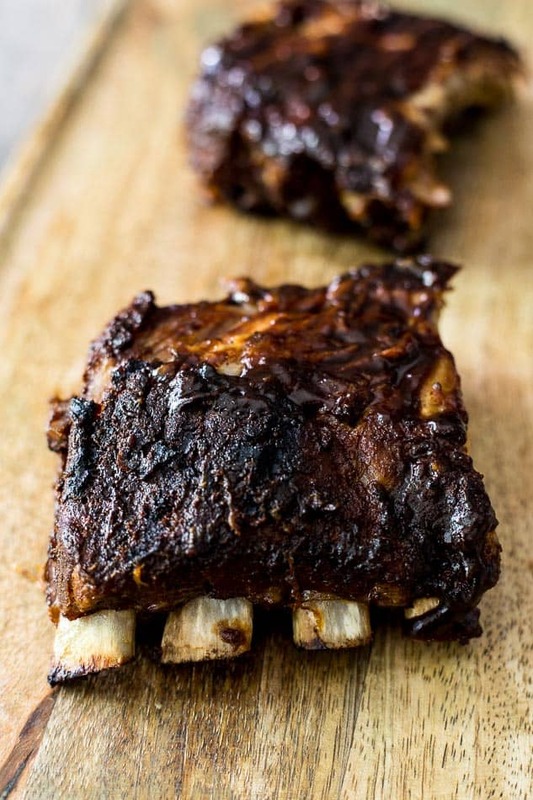 Then coated in a homemade sweet and tangy barbecue sauce that includes mustard, apple cider vinegar, brown sugar and molasses. 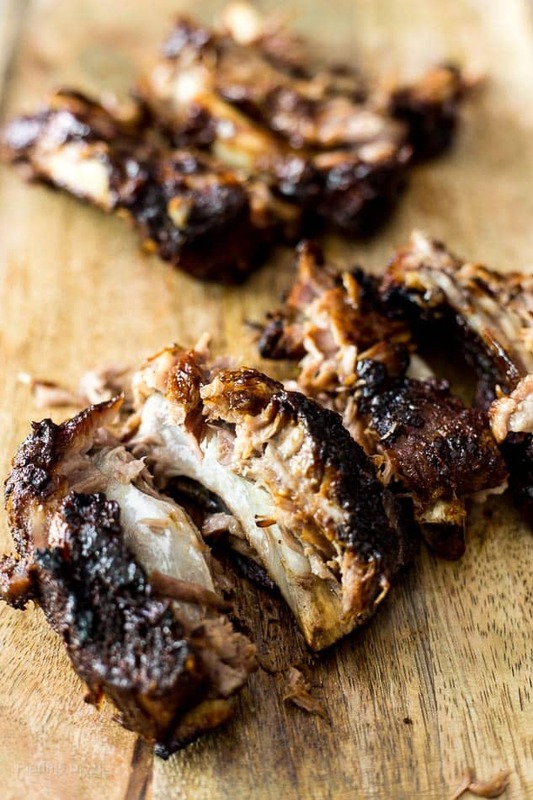 These Carolina Style Grilled Baby Back Ribs may just be the best ribs you’ll ever have. The flavor is rich, smoky, slightly sweet and tangy. And the texture—well they fall off the bone, enough said. Let’s get something out of the way first. I’ve called them Carolina Style Grilled Baby Back Ribs since they remind me of my exquisite trip to Charleston, South Carolina. And they’re coated with a thick sauce that includes apple cider vinegar, brown sugar, mustard and spices. 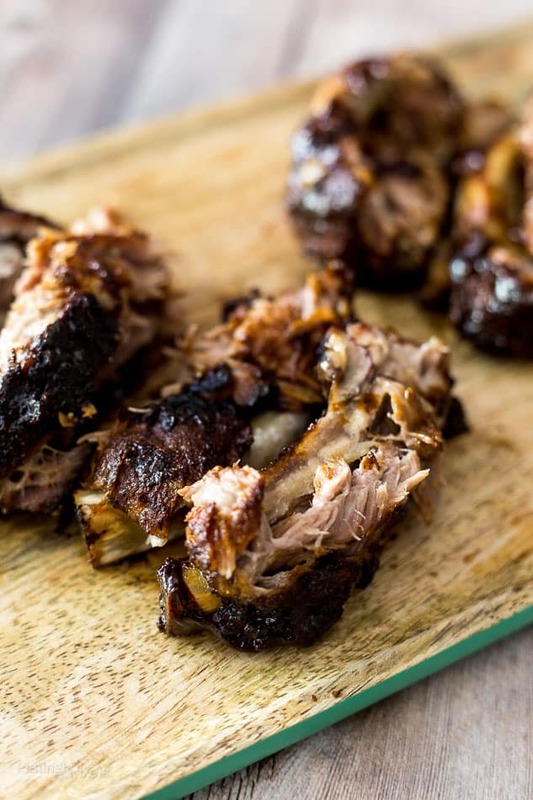 Purest may have an official recipe or cooking method for Carolina style ribs, but either way you’ll want to try these. You can cook them completely on a charcoal grill, and I’ve included instructions for this in the recipe below. However, I suggest precooking them for a longer, slow cook that guarantees fall of the bone texture. Once tender and the sauce is ready, preheat the coals. Add ribs to the hot grill, coat with sauce. Rotate and repeat to create a thick, sticky coating, give them a char and add smoky flavor. I used Smithfield Extra Tender Baby Back Ribs Baby Back Ribs for this recipe, ideal for upcoming Labor Day or any summer barbecue. They’re hand-trimmed, extra-tender and juicy. Plus without artificial ingredients, antibiotics or growth hormones. You’re guaranteed a quality rack of ribs every time that make this recipe even easier. For extra flavor, start with a homemade dry rub consisting of salt, brown sugar and spices. Allow to sit at least 30 minutes or overnight to tenderize the meat, infuse flavor and add moisture. Once cooked, coat with the homemade barbecue sauce and grill on high heat to finish of these Carolina Style Grilled Baby Back Ribs. 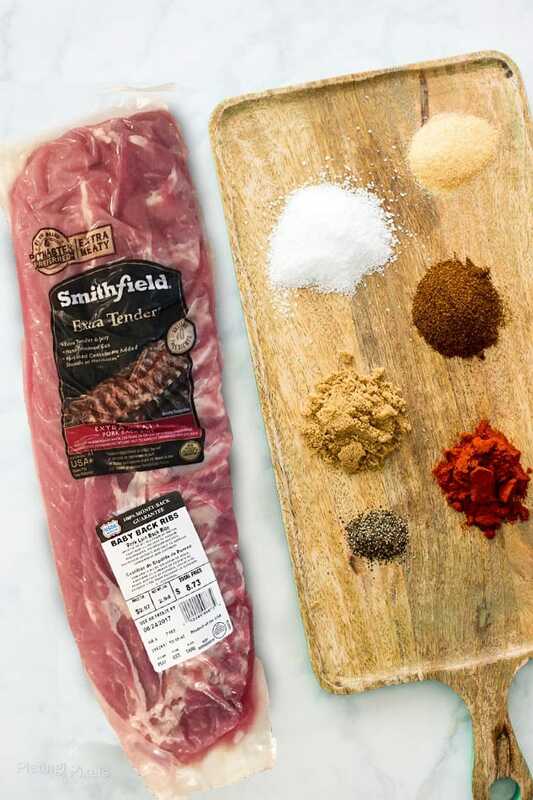 No matter your experience, with these tips and tender Smithfield Fresh Pork, you can grill great ribs. These tender Carolina Style Grilled Baby Back Ribs literally fall off the bone. Slow cooked with a southern style dry rub. Cut or pull off thin membrane on back of ribs and discard. Cut rack in half. Stir together dry ingredients in a small bowl. Rub over both sides of ribs to coat. You can do this step up to 24 hours before and leave in fridge for more flavor. Let sit at room temperature 30-45 minutes before cooking. Pre-cook the ribs. 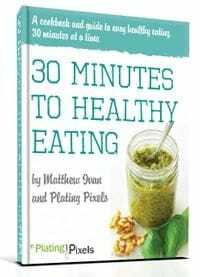 Slow cooker method: Cook on high 3-4 hours. Oven method: Bake at 300° F. for 2 to 2 ½ hours. Remove from heat. Stir together all sauce ingredients in a small saucepan over medium heat. Bring to a low boil and reduce to low. Simmer 10 minutes, or until thickened. Remove from heat. Arrange coals in an even layer in bottom of charcoal grill and light. Once red hot place prepared ribs meat side up on grill and coat with some of sauce. Grill 2-3 minutes, rotate and coat other side. 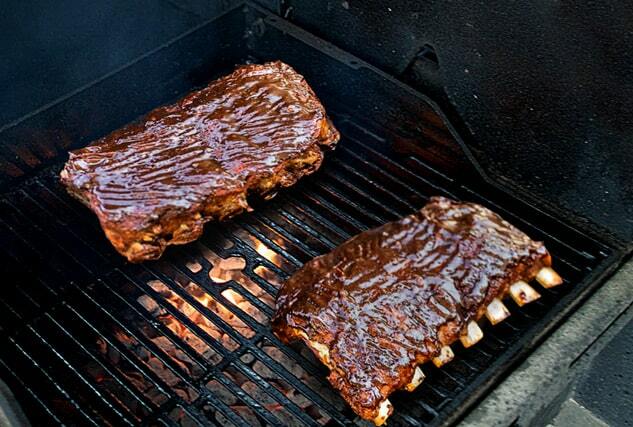 Repeat steps 1-2 times until coating is thick and ribs are slightly charred. Remove from grill and let rest 10 minutes before slicing and serving. Ribs will be tender and should fall apart. You can cook ribs entirely on charcoal grill. Place coals on sides, leaving center open to create indirect heat. Once coals are ready, place a drip pan below grate and ribs on grate. Cook 1 hour without opening lid. Rotate and cook at least 30 minutes more with lid closed. Once cooked, prepare red hot coals in even layer and follow finishing steps above.